Hello there, smarks. Cultured Vultures is looking for writers passionate about the messy world of pro-wrestling. Do you fit the bill? Are you the ultimate wrestling fan? Do you know your NWO from your Bullet Club? Maybe you long to tell the internet why Roman Reigns is the real deal. Or you have a long essay cluttering up your hard drive about why Charlotte should be the next WWE champion. If so, don’t keep it to yourself. Stop hiding in the Gorilla Position and get in touch with Cultured Vultures. We’re looking for wrestling writers who can predict a WWE pay-per-view card before it’s even been announced. Who have an instinct for spotting major developments, and have something witty and original to say about every swerve the WWE, or anyone else, throws at us. Be ambitious folks. From pay-per-view previews and weekly recaps, to thought provoking listicles and opinion pieces, if the idea’s buzzing round in your head, write it down and get in touch. We’re a bunch of surprisingly open minded smarks at Cultured Vultures. Don’t feel like TNA is getting enough love from fans? Tell us why. Want to shout about that tiny wrestling promotion you just discovered where everyone does flippy stuff? Go for it – the next Will Ospreay has to come from somewhere, right? And listen, no promises, but if your article does well enough there is remuneration (check here for how payment works). Unfortunately, we’re not big enough yet to guarantee cash payment, but we can pay you in other ways. 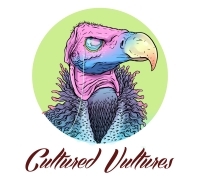 Cultured Vultures is a community dedicated to helping writers get better across the board – from style and grammar to self-promotion and creative confidence. Not that a few shekels here and there hurts either. Now is decision time folks. It’s like cashing in that Money in the Bank briefcase. You have the passion and knowledge to put pen to paper, but until you cash in you’ll never be world champion. Don’t wait too long. Don’t be Dolph Ziggler. To see what sort of wrestling content we produce at Cultured Vultures, click here.